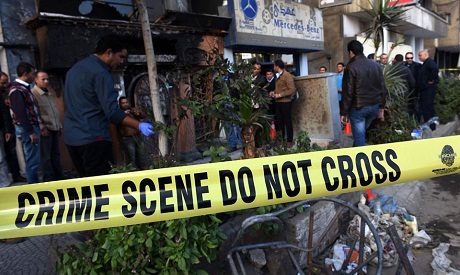 Cairo prosecutors charged four people with murder in relation to an arson attack in Giza’s Agouza district which resulted in the death of 17 people, Al-Ahram Arabic news website reported. The suspects allegedly hurled Molotov cocktails into the Al-Sayyad restaurant and bar over a dispute they had with employees on 4 December. Investigations revealed that the emergency exit door was locked with chains, contributing to the high death toll, according to the prosecution. The interior ministry had said shortly after the incident that three of the suspects had been arrested, with the fourth apprehended later. The suspects reportedly said that they were denied entry to the restaurant and bar by security guards the night before the attack and had launched the assault in retaliation. All the victims were employees at the club. The trial date has not been determined.